W.B. Mason has an interesting opportunity for Dynamics AX developers! Come join the development team of an end-user of Dynamics AX, where you can help us build out our highly customized AX 2009 platform and see firsthand the results and direct impact to the business. From electronic invoicing to warehouse management and inventory sourcing systems, our customized solutions gain the business efficiencies and save it cost. Stick around for a huge Dynamics 365 re-implementation project which we are in the very early phases of. The successful candidate for this position would provide immediate impact by contributing to Dynamics AX 2009 development and be able to contribute long term to our future. We are considering remote candidates. Knowledge of basic Computer Science concepts - data structures, OO design, problem solving, etc. Life at W.B. 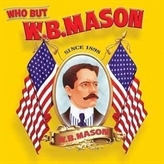 Mason Company, Inc.
About W.B. Mason Company, Inc.
Over the last decade, W.B. Mason has built an in-house, on-shore software development team to support its unique role in the market. W.B. Mason believes in tailoring our services to the needs of each customer. Developing software to handle that kind of variety and complexity is a great challenge. Managing the software for ourselves means we can focus on agility and continual delivery. A role on our team will give you experience in a wide variety of technologies as well as an opportunity to learn about every part of our business. From the web to the warehouse, our design & development teams have created the tools our company uses to compete with the largest distribution and e-commerce companies in the world. Dynamics AX Developer (Considering remote candidates)- at W.B. Mason Company, Inc.